What we have been given is not to be kept and hoarded for ourselves, but to be passed on freely and shared, so that it may bring life to others. In my work as a therapist, it is usually the questions I ask, rather than the statements, suggestions, or “advice” I offer that are the most helpful means of effecting this sharing and the new life that rises from it. Today is Ash Wednesday (as well as Valentine’s Day!). It marks the beginning of the Season of Lent, a “very acceptable time.” This year I choose not to “give up” some “goodie” or “treat,” but rather to make my Lenten practice one of asking questions — not of others, but of myself. How am I open to the Presence of God today? in nature and all Creation? What lesson is God asking me to learn from the people God brings into my life? In what ways might I be “missing the mark” (which is really the Hebrew definition of ‘sin’) in my love and care for others? Where are kindness, compassion, understanding, and self-sacrifice in my life today? Am I truly listening to God, speaking to me in the depths of my heart — in the midst of trouble and distress, as well as in silence and calm? we appeal to you not to receive the grace of God in vain. and on the day of salvation I helped you. I feel privileged today. By now we all probably know what the phrase sede vacante means. 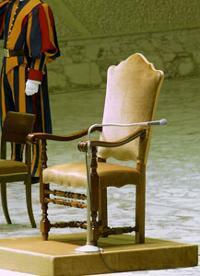 The chair of St. Peter – representing the special place of the Bishop of Rome within the community of Jesus’ followers – remains vacant and empty for the second Sunday in a row. These days between the pontificate of one pope and his successor are rare and brief, and so it’s a unique time in the life of the Universal church. And, while our attention is drawn by media coverage to the Conclave of Cardinals scheduled to begin Tuesday in Rome, to the actions of a particular Cardinal who has opted not to participate, and to the views of potential future-popes and what they have said in the past about LGBT people, the role of women, and other church issues … we are still invited on this Fourth Sunday of our Lenten Journey to listen not to the media coverage of bloggers and bookies, but rather, to listen to and reflect on one of the most beautiful and powerful parables in all of Scripture – the Parable of the Prodigal Son. And so, as we ask the question that we must always ask – namely, what do these Scriptures mean for me and for us today – the richness of this parable is so great that it’s almost hard to know where to begin. In fact, a friend of mine told me that one of the reasons this is not a favorite of his is because there seems to be so much going on. To get a handle on all that we can do what commentators often invite us to do, namely put ourselves in the story as either an observer or participant, and thereby come to some insight of our own. We can put ourselves in the shoes of the younger son who feels that natural though somewhat exaggerated pull to seek his own life, doing so basically by telling his father he wishes he were dead, demanding now the inheritance that would only come to him on his father’s death. In doing this he turns his back on family and friends and home; and acts in a way that shows he fails to appreciate not only those truer gifts that he has been so lucky to have, but also fails to appreciate the gift of his financial inheritance, squandering his money (as this translation says) “on a life of dissipation.” And so, after failing miserably “in a distant country” and suffering the humiliation a Jew would suffer by feeding a herd of swine owned by a Gentile, the scripture tells us that he comes to his senses – literally comes to himself. 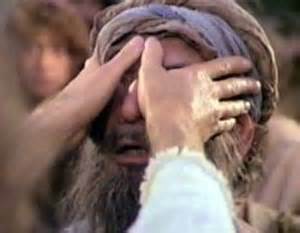 Still burdened with guilt and shame, however, he decides to return to his father’s house not as his son, but as a hired hand, a servant. We can reflect also on what it means to be the older, dutiful son; the one who has always done what was expected of him, always followed the rules and played by the book. On learning that his brother has returned home, however, this big brother isn’t happy and filled with joy, but rather is so caught up in his own world that he becomes angry and resentful not at his brother, but at his father’s generosity – so angry and resentful in fact that he refuses to enter the family home, refuses to join in the celebration at table. 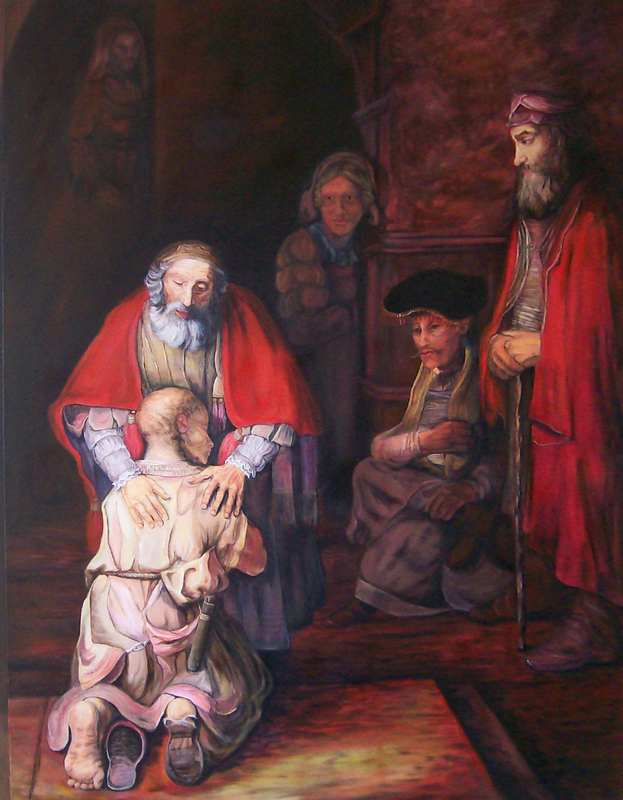 Perhaps you are familiar with the famous reflections from the late Henri Nouwen in his two books, “The Return of the Prodigal Son” and “Home Tonight: Further Reflections on the Parable of the Prodigal Son.” His reflections were prompted by the painting of this parable by his fellow Dutchman, Rembrandt, which hangs in The Hermitage museum in St Petersburg, Russia. If you’re not familiar either with Nouwen’s reflections or with Henri Nouwen himself – I encourage you to become familiar with him. Nouwen reminds us that this is fundamentally a story of how God so loves humanity that nothing – absolutely nothing – can get in the way of that love. Despite the obstacles and walls that we ourselves put between us and God – God is always ready to welcome us, to embrace us, and to lead us home with joy and celebration. As an exercise in personal prayer, meditation and spiritual growth during this Lenten season, nothing could be more appropriate than for us to do what Fr. Nouwen suggests in taking time in quiet and solitude to think about this story, reflect on the ways we can identify with one character or another, and learn what it has to teach us about how we recognize our own failings, yet even more fully receive and share God’s unconditional love for each of us. There’s also the question, of course, of what this story might mean for us as gay and lesbian people – a people who so often feel disaffected from our Church and its leaders. Today the Chair of Peter sits empty. That chair, however, is not the only seat at the Table of the Lord. For too long that Chair of Peter has been seen more as a regal throne than as the chair of a loving parent who gathers his or her children around a family table – much as I imagine the father in today’s gospel gathered all his household around a table of celebration when his younger son – who was dead but has come to life again – is welcomed home. Also and for too long our experience at the hands of Church leaders has sadly been unlike that of either sons in today’s Gospel. Instead of being welcomed and invited to come to the Table just as we are, we have been turned away precisely because we have tried – imperfectly perhaps, but with honesty nonetheless – to embrace our own inheritance as beloved children of God. By this time next week, I suspect that the Vacant Chair of Peter will once again have an occupant, a new Bishop of Rome, a new Pope who is called to be the Servant of the Servants of God. Let us pray that he, whoever he is, will have the faith and the courage to model his ministry on that of the father in today’s Gospel story, preaching the good news that God’s love for humanity knows no bounds, that there’s room enough for all at the Table of the Lord, and that those who’ve experienced rejection or abandonment will discover a table where bread is broken, where lives are shared, where burdens are diminished and joys are multiplied – and that at this Table there is indeed a seat for everyone. Although we in this Dignity community hear these particular readings only every third year – following, as we do, the 3 year cycle of our Lectionary – there are many, many parishes that hear these readings and this Gospel story about Jesus’ encounter with the Samaritan woman at the well every year. The reason for that is those parishes have an active RCIA program – they regularly have adults who have either never been baptized or who are seeking to complete their initiation through the Rite of Christian Initiation of Adults, the RCIA. In those parishes, this Third Sunday of Lent marks the first of 3 very important “steps” in that ritualized process. Two Sundays ago, they would have gathered at their Cathedral with their godparents and the local Bishop, and the unbaptized would have declared in a public way their intention to be initiated into the death and resurrection of Christ through the Easter sacraments of Baptism, Confirmation and Eucharist. While previously they would have been called Catechumens – students, really – interested in studying and learning about Christianity – now they are called the Elect, having been publicly accepted by those of us who already bear the name of Christian into these Lenten weeks of preparation of prayer, fasting, and the doing of good works. It sounds like such a cliché for me even to say this, but it really is true that we could spend hours talking about this Gospel story we just heard, so filled it is with depth and meaning. We could see how these gender roles continue to be ignored as the Gospel author puts the woman in the role of evangelizer, being the one who bears witness to Jesus to the men in the town square. When we think about it, isn’t that what not only Lent but the entire Christian life is all about – progressing in “genuine self knowledge through serious examination” of our lives, as we seek meaning, purpose, satisfaction and fulfillment? Our thirst that seems never to be satisfied is what makes us work so hard to succeed in this life – whether that be in school, or the workplace, in a sport we enjoy, or some other activity that gives us pleasure. That thirst is also what brings us here, week in and week out; it’s what underlies the longings of our hearts as we strive to do what is good and right; as we strive to seek justice in this world, and to be agents of change in the face of established, sinful social structures that all too often keep people from realizing their full humanity as beloved children of God, from their rightful place at the table of God’s People. Certainly it is good and typical that we have such thirst. After all, is there anyone here who can honestly say that when you look at the entirety of your life, you are fully satisfied? Is there anyone here who has no unmet goal, no unfulfilled hope, no dream yet to be realized? Is there anyone here whose relationships are perfectly satisfying, whose health is without flaw, and who has achieved everything you ever set out to achieve? If there is, I suspect you’d be the envy of us all! Simply articulating those questions demonstrates that there isn’t one person on this planet who is not unfulfilled in one way or another. As this Gospel story unfolds, it’s clear that one of the main messages Jesus brings to this woman, and one which she in turn bears to others, is that it is Jesus himself who is Living Water and is the One who can and does satisfy every longing of our hearts, every thirst we have, if only we could be as open and honest and vulnerable as she is. But before we jump too quickly to the end of this dialogue that Jesus has with this woman – a woman whose life and past and shortcomings he already knows – let’s pause for just a moment. What is the very first thing Jesus says to her, the first words out of his mouth? “Give me drink.” Give me a drink. The encounter’s focus starts out not with the thirst that the woman – and by extension we – have; but rather on the thirst that Jesus has. In reaching out to her – and to us – Jesus reminds us of God’s never-ending thirst for us; and not just for “us” in general, for “humanity” writ large. Jesus’s encounter with the woman at the well proclaims that God thirsts for and longs for and desires each and every one of us … including you and me and all those countless others whom society or church says “you’re not good enough.” Like his words, “I thirst” spoken on the Cross, Jesus – whom we believe is the en-fleshed presence of God in the world – became one like us precisely because of that eternal thirst of God to be loved by each and every one of us, the ones God created in Love. Lent is a time when we are all called to be like that unnamed woman at the well in Samaria – a woman not perfect, a woman “with a past,” but more importantly a woman whose openness and faith satisfied the thirst of Jesus such that in turn she came to know his loving touch and was able to drink freely from the life-giving water he offers.